This project site is relatively flat, a forest meadow with a bucolic view to meadow and farm land, with a partial glimpse across Little Tribune Bay. The clients wanted a custom holiday house that would serve their growing family, with guest rooms in a separate pavilion. 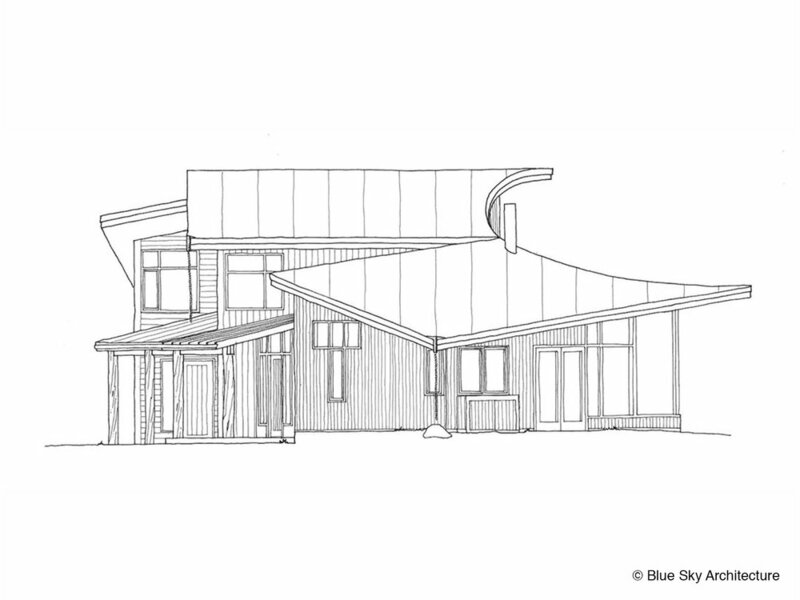 The house is conceptualized as three pavilions: a social pavilion, a sleeping pavilion, and a guest pavilion, connected by a glass, wedge-shaped atrium. 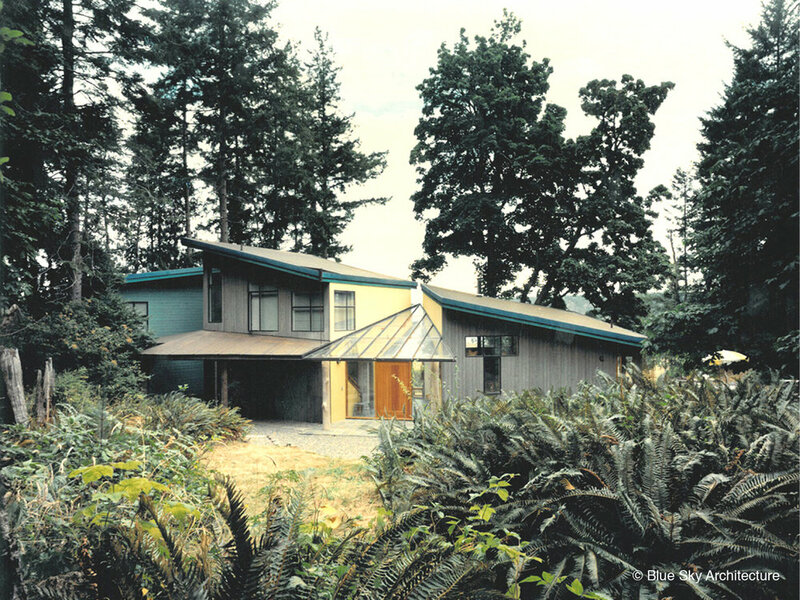 The house’s placement next to the forest edge on the north side of the property allows for an outdoor terrace on the south side with maximum sun exposure. 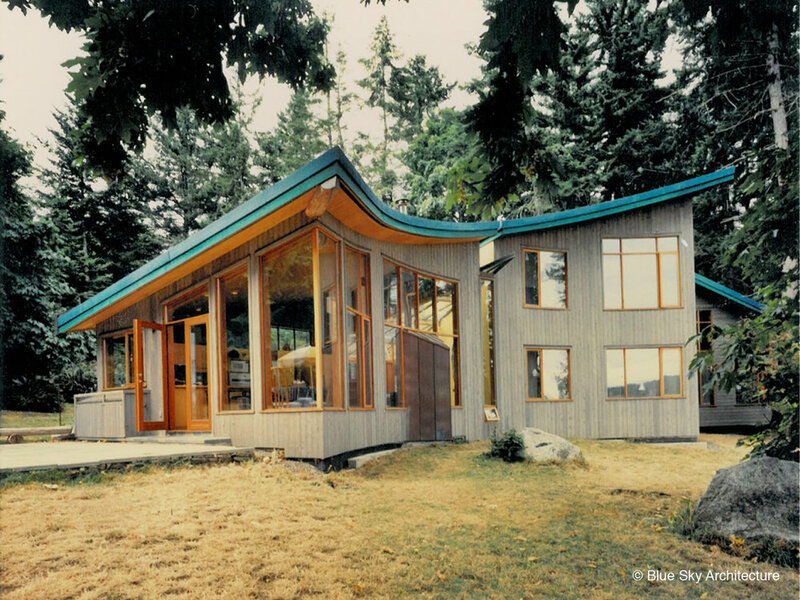 The shed roof rising towards the forest edge connects the two main pavilions, combined with the inverted curving façade on the view side that embraces a large maple tree.